Nootropics aim to boost cognition, mental focus and overall memory recall. Noopept is one of the most prominent nootropics on the market, and it requires a much lower dosage than its Piracetam counterpart – while providing similar benefits and effects. Noopept is the brand name for the more complicated, scientific name: N-phenylacetyl-L-prolylglycine ethyl ester. This is a synthetic molecule, and it has been widely used and studied. Doctors often recommend Noopept to patients that have cognitive ailments. Aside from boosting mental capacity, this supplement also allows for neuroprotection. A person that takes Noopept will have some protection from cognitive trauma. Physical trauma and oxidative stress are combated thanks to this nootropic. Before you begin popping Noopept capsules, it’s important to understand how to take Noopept properly. If you’ve taken piracetam before, you’ve likely taken larger doses. Normally, the dosage amount is near 5000mg. But when you take Noopept, it’s recommended that you take just 10-30mg on average. It is recommended that you take the recommended dosage as found on the supplement package. However, there are other ways to take this nootropic that are rather interesting – many I haven’t tried personally. Aside from merely swallowing the capsule, you can take Noopept sublingually. When you take Noopept or any nootropic sublingually, this means that you place the capsule or power under your tongue and let it dissolve. It is thought that by allowing the nootropic to dissolve on the tongue, it will take effect much faster. See Wikipedia for safety guidelines. Since the nootropic doesn’t need to pass through the digestive tract when dissolved, it may or may not provide benefits more rapidly. The taste is often bitter (which is why I personally haven’t tried this method), but there is anecdotal evidence that you’ll experience the positive cognitive benefits much faster as a result. If you can stomach the odd taste of the capsule dissolving in your mouth, this may be a good option. You also have the option of using flavor aids to mask the taste of the dissolved capsule. A very tricky question. When you look into Noopept, you’ll find that it’s often grouped into the racetam categorization. But this isn’t a racetam because it lacks the 2-oxo-pyrrolidine skeleton. With that said, it is normally grouped among racetam because it provides similar mechanisms. For example, this nootropic utilizes modulation of the acetylcholine system just like a racetam. But Noopept is said to be 1000 times more potent than a racetam. This is the reason that the dosage requirements are much lower for this supplement than for a racetam, such as piracetam. Note: Stacking is not recommended for beginners. If you’re used to taking nootropics and want to boost the benefits of Noopept, you can choose to follow a “stack.” A stack is essentially taking several supplements that work together to provide a more powerful effect. Products like MindLabPro combines the best scientifically proven nootropic ingredients into 1 easy to take formula. Any choline source will be beneficial to your stack. Many people will experiment with stacks to find what works best for them. 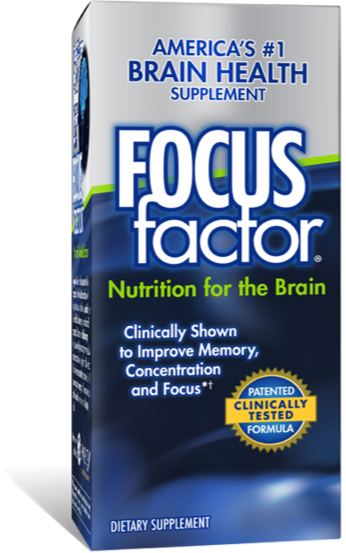 I have heard of people stacking this supplement with piracetam to further boost results. Or you can choose to add another nootropic in the stack. For example, you may find the cognitive benefits of Noopept to be sufficient, but you need an energy and concentration boost. If this is the case, you’ll try and find a nootropic to add to your stack that provides heightened energy and concentration levels. If you’re shooting for more energy, be careful when adding to your stack. Many people will boost their stack up with caffeine, or supplements that contain caffeine, and this can lead to jitters, hard crashes and a rapid heartbeat. Experiment safely, and find a stack that works best for you and your body. The side effects of Noopept are mild and most users do not experience any side effects at all. A few minor side effects do exist, but if you take this nootropic in excess amounts, the side effects will worsen. Headaches are the most common side effect, and you don’t want to pop a Tylenol to relieve your headache. It is recommended that if your headache persists, you stop taking Noopept for a few weeks. Studies have shown that Noopept actually combats headaches, so suffers may find that the root causes of their headache is not related to Noopept. Toxicity can occur if you take this supplement in excessive dosages. Irritability occurs in some users, and this is linked to the body’s neurochemical reaction. People with heart-related issues may want to avoid Noopept as it may increase blood pressure. Allergic reactions are possible, and like always, pregnant women should not take this supplement. If you’re on medication, Noopept shouldn’t interfere, but always consult with your doctor prior to taking any supplement. Providing very similar benefits, the main difference between these two nootropics is that Noopept requires far lower dosages because it’s roughly 1000 times more potent, according to studies. In effect, both provide similar results, but you’ll take far less Noopept. Noopept is still being studied, and the experiences that have been seen personally as well as from reviewers and friends is that you’ll notice significant cognitive benefits from this supplement. You’ll initially notice that your mind is clearer the first week, and then you’ll start to notice that your concentration levels are through the roof. Some users will experience an energy boost, but this isn’t the main purpose of Noopept. If you’re looking for a nootropic that is potent, highly recommended and safe to use, Noopept is one of the best on the market.